Tiredness is a common feeling we all experience. However, there are times where it may actually be indicative of a serious problem and require treatment. 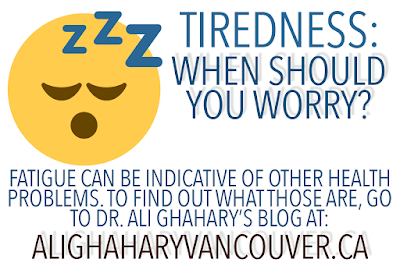 For more information on the health conditions that are commonly associated with fatigue, visit Ali Ghahary's blog at http://www.alighaharyvancouver.ca/blog.